Daimler's Smart division will unveil its new ForFour four-seat minicar and the latest version of its ForTwo two-seat microcar today in Berlin. The arrival of the ForFour gives Smart a second model in its European portfolio for the first time since 2006, which is when Daimler discontinued the brand's slow-selling first attempt at a four-seat vehicle. The previous ForFour was based on the Mistubishi Colt and was axed after just two years. This time Daimler has teamed up with Renault for the ForFour. To save development costs the ForFour will share its rear-wheel-drive underpinnings with the Renault Twingo. The ForFour will be built at Renault's factory in Slovenia alongside the Twingo. The ForTwo will continue to be built at Smart's factory in Hambach, France. Sales of the two vehicles will start in Europe this autumn after their public debut at the Paris auto show Oct. 2. The ForTwo is expected to go on sale in the United States late 2015. Daimler has said it has no current plans to sell the ForFour in the United States. Smart brand chief Annette Winkler said the ForFour will be aimed at young families and young people who are looking for more space than can be offered by the ForTwo. "It will be a second or third car," Winkler told Automotive News Europe at the Geneva auto show in March. Winkler said the ForFour "will have the attributes that are loved in the ForTwo, such as its compact size." The ForFour will help to retain Smart customers as well as win new buyers, she said. "The most frequent reason people don’t pick the ForTwo is because it only has two seats and a number of our customers want to stay with the brand and they said they would if we had a four-seat vehicle," Winkler said. "Those reluctant to try Smart will give us another look." The new ForFour and ForTwo will have identical styling. The ForFour has been stretched to accommodate another pair of doors and a second row of seating, but it will be shorter than Renault's Twingo. 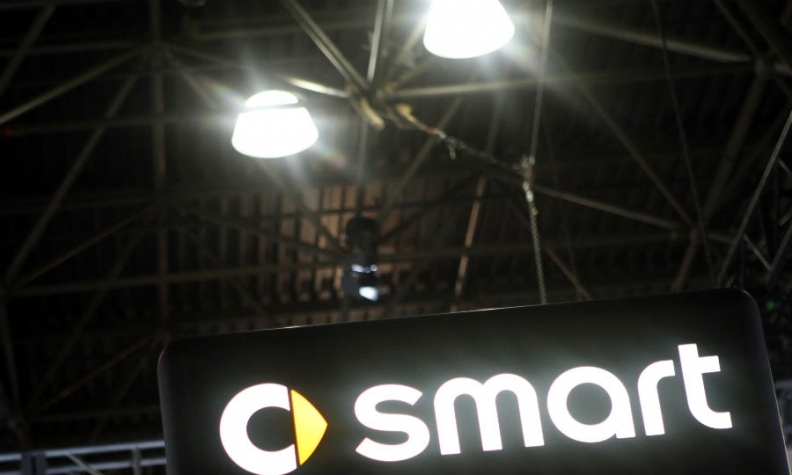 Smart's global sales fell 10 percent to 46,816 in first half.